This project saw support from The Final Straw Solent, Institute of Marine Sciences at University of Portsmouth, Blue Marine Foundation, Gosport Ferry, Natural England and local artist, Ian Whitmore. Each partner created an engaging, entertaining and educational talk and activity for guests at the Tower. 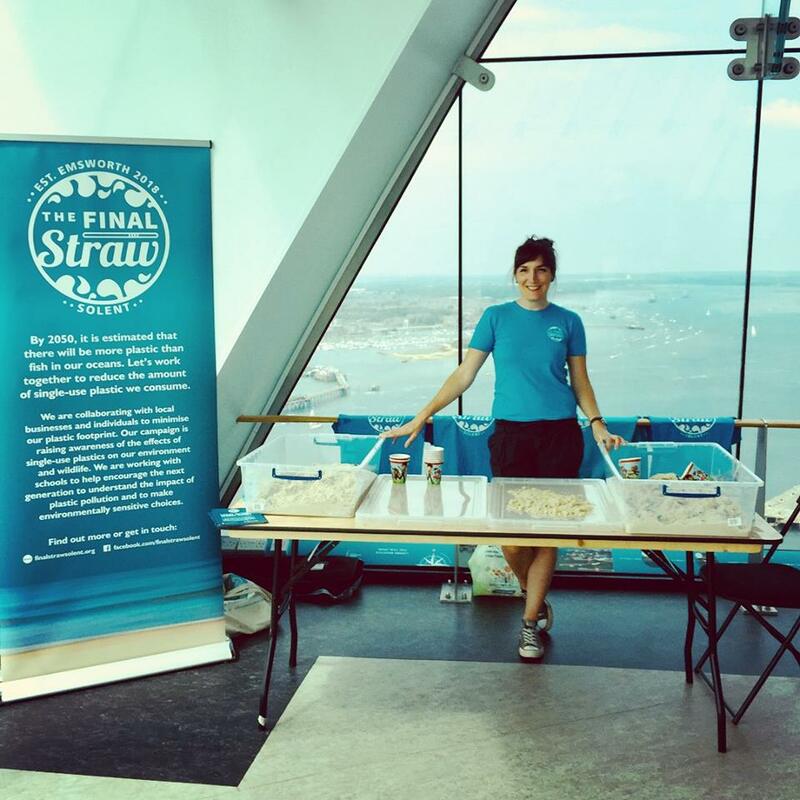 The Final Straw Solent raised awareness about plastic pollution, its effect on wildlife within the harbour and how you can help. Influencing the future generation to think about our environment and how precious it is. 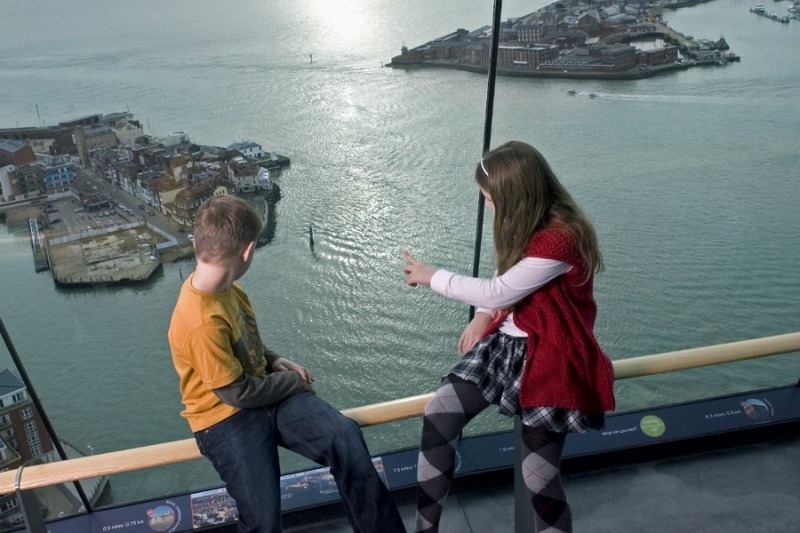 This partnership also saw Emirates Spinnaker Tower using only bio-degradable straws in both the Waterfront and The Clouds café! 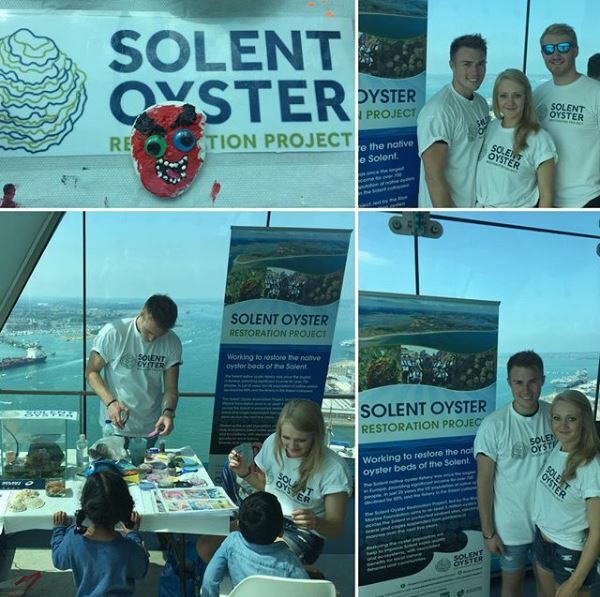 The Institute of Marine Science at University of Portsmouth along with the Blue Marine Foundation shared their knowledge of all things Oysters with fun activities including painting Oyster shells and face painting. 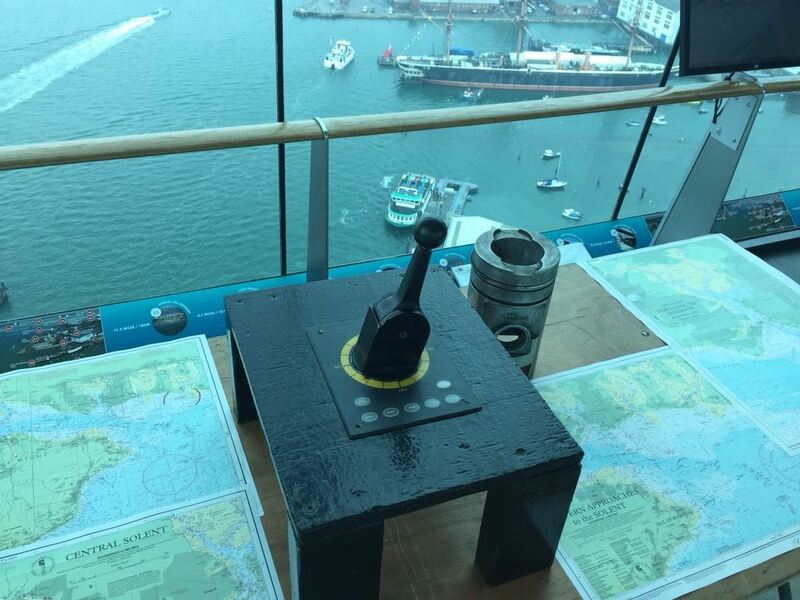 Gosport Ferry Master, Phil Theobald talked all about his 16 years working in Portsmouth Harbour, the history and development of the area and the great moments he has witnessed from unique wildlife to the royals visiting as well as bringing along a spare steering wheel for the kids! 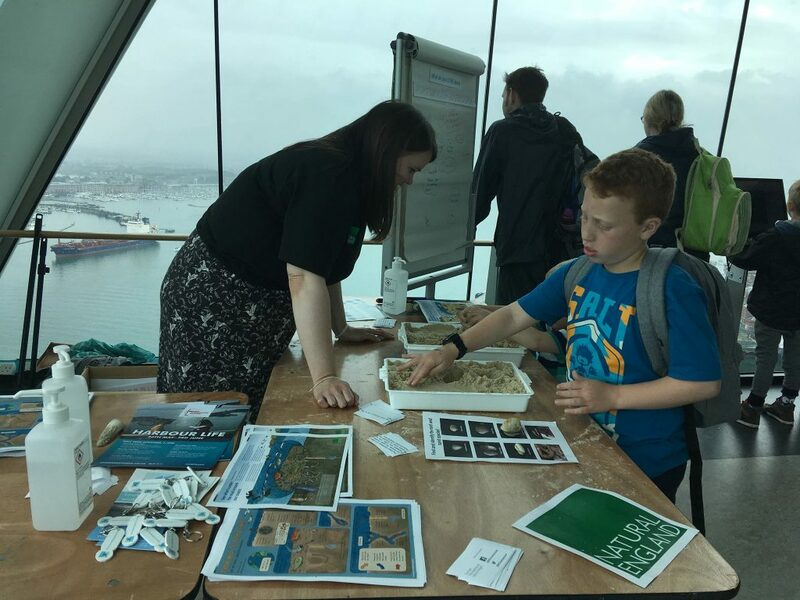 Natural England helped us discover what we can find in the mud, build our own Portsmouth Harbour as well as learn all about the important species and habitats that live in the harbour! 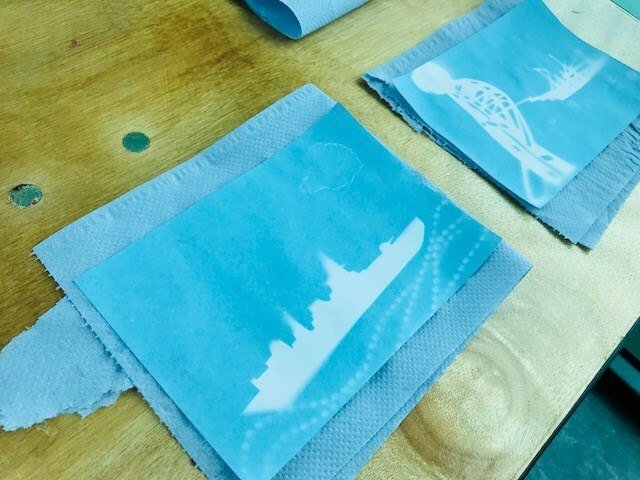 Ian Whitmore used inspiration and materials from Portsmouth Harbour and our stunning waterfront views to create a snapshot to take home! 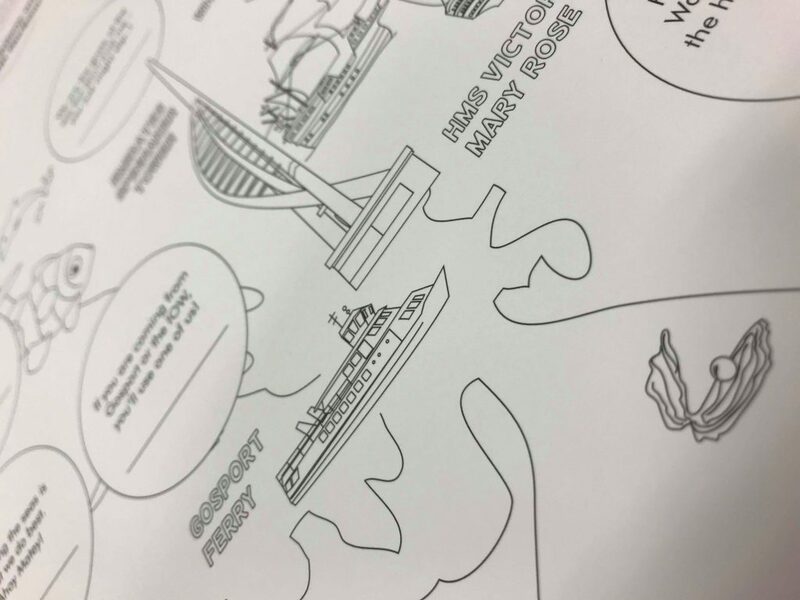 Our local supplier was also incorporated into our harbour life fun with Kate Rees at Bay Tree Gallery creating another authentic, quirky illustration of the Portsmouth Harbour of our ‘Catch me at the Harbour’ trail. Kids were able to read descriptions of Harbour features and identify the subject of the clue, broadening their knowledge of our Harbour and what you might find there!